Judith, my first-born daughter, is an impressive woman. She devoted much of an excellent studernt career at the University of California (Davis) and at Columbia University, New York, to Latin American Studies. She left California many years ago for a life in Mexico. 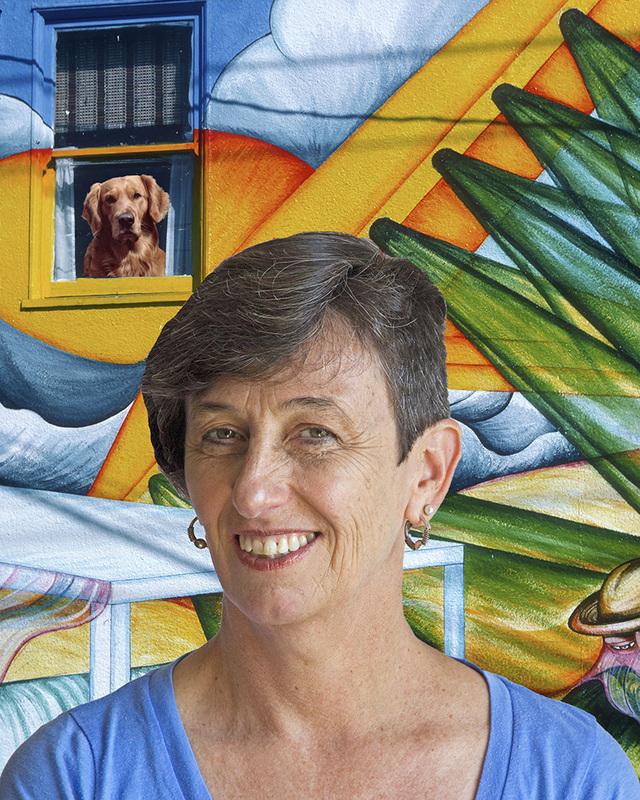 In this portrait I used, as background, one of the exquisite murals in the Latino neighborhoods of San Francisco. Among Judy's passions is a great fondness for animals, especially Golden Retrievers. I added a picture of Midas, a dog she had helped train, and with which she had won a national title.